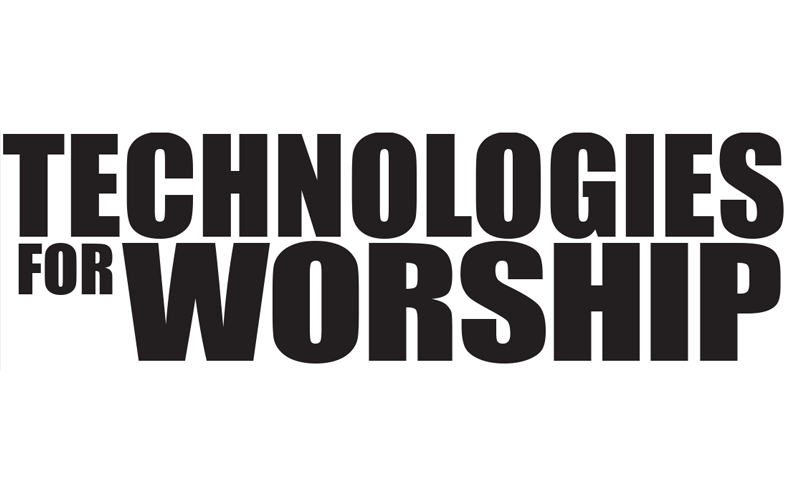 As today’s houses of worship across all denominations strive to deliver modern, creative services to their beloved congregations, the need for a communications system that is both easy-to-use yet powered by the most up-to-date technology is clear. Integrating an intercom system into a church’s existing AV setup can be overwhelming even for the most tech-savvy staff member. The recent influx of digital, wireless and now IP technology for intercoms has introduced a staggering number of options, making it quite the challenge to choose the right one. That being said, taking the time to not only research the needs of your church, but also reading up on the basics of intercoms, will make the task a little less tedious. In simplest terms, intercom is a dedicated communications pipeline. Unlike two-way radio, intercom systems offer full-duplex communication, which makes the experience of using them much more of a face-to-face conversation. During busy production periods, such as just before a major holiday service, this feature really comes in handy, as you don’t have to grapple with the additional stress of communicating in a new and unfamiliar way. Another important feature of any quality intercom system is the support of multiple functional groups. This lets you divide your communications into different channels, streamlining the workflow substantially. For example, lighting staff can talk on one channel, the sound crew on the second channel, graphics and image magnification on a third, and video on a fourth. Isolating groups into task related channels cuts down on unnecessary and potentially distracting chatter during production. Most of today’s intercom systems can also be used to connect production staff to other important areas in the worship facility – anything from service audio, the telephone system to the PA system, communications with security staff and traffic control. Everyone truly is connected. The answer to this question is that intercoms are tailor-made for production environments. Intercom was invented to solve live production requirements. It is designed specifically for the challenges and situations inherent to this type of environment where communication must be instant, easy and clearly received. Any other communications systems you try to implement for live production in your facility will always feel a bit off, sort of like fitting a square peg into a round hole. Intercom also has the ability to improve production value tremendously. When you have a dedicated system for assisting with cueing, talking to other crew members, coordinating between the different production areas and other activities common to a live production environment, everything goes much more smoothly. The benefits of an intercom goes beyond improved production values, as they help ensure safety while pulling off special effects and other theatrical elements, help with handling any monitoring activities the church video staff may require and are much more resistant to the types of interference that plague other communication devices such as cell phones and walkie-talkies. While intercom offers a great deal of value for any house of worship, as with any new installation, there are some things to consider before making this type of investment. Perhaps the most important is what you need intercom to do for your facility. You should determine which members of the production staff, and what production areas, would benefit from it the most? Where do the communications seem most lacking in the daily workflow of your facility? How do you envision intercom solving key production challenges? Areas that might need communication outside of your production staff, i.e. security, traffic control, visitor management, and remote worship facilities’ requirements should also be considered, if not for the immediate solution then for the future needs of your organization. Ask yourself all these questions, and you’ll find that determining which type of intercoms are the best fit will be much less of a headache. Other major factors to consider are cost (intercoms can run anywhere from the $1,000’s for a simple partyline system with wired beltpacks to the $100,000’s for an advanced matrix-based network with wireless beltpacks), the complexity of deployment, the amount of time it will take to implement, and the learning curve of your staff must all be taken into consideration. Your house of worship’s particular infrastructure will play a major role in determining the complexity of the installation. Therefore, it’s a very good idea to thoroughly survey what, if any, infrastructure already exists on which the intercom system can operate. Also take into account the type of wiring you have and whether or not you have access to a conduit for cable runs. You’ll also want to look into any connectivity requirements for the intercom system. Traditional Partyline intercom systems are connected via standard microphone cable. The more complex digital systems may be connected over dedicated CAT-5 cables. 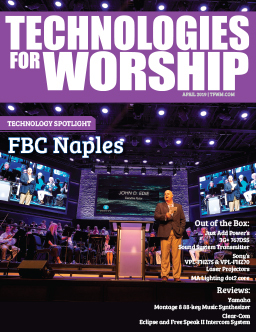 As churches add remote facilities, they may wish to communicate back to the host house of worship via fiber, an E1 or T1 line, over IP, or over a combination of these. Check on the I/O requirements for the system as well. Partyline intercoms: A good starting point for small- to mid-size churches, they can range in size from just a power supply and some beltpacks to multi-channel systems, interfacing to anything you can imagine. Typical systems have a main station, remote stations and a bundle of beltpacks. They are plug-and-play and run on regular microphone cable (20 or 22 AWG wire is recommended). This solution is simple to operate, and is great for coordinating four or fewer groups (lights, sound, graphics and video, for example). Digital matrix intercoms: Matrix intercoms are becoming more prevalent these days. 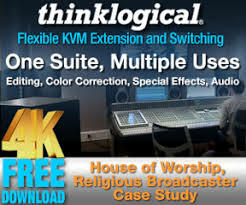 Their flexibility has made them quite popular with mid-sized to larger houses of worship, as well as facilities with multiple venues and complex production needs.They employ four-wire technology (the simplest of communication circuits), and can interface with POTS telephones and standard audio paths, both digital and analog. One of their biggest benefits is that they enable point-to-point communications, allowing you to conduct numerous private conversations within the system. Wireless intercoms: Often used in concert with wired intercom systems, wireless intercoms add the tremendous benefit of mobility to virtually any size facility. They come in a variety of flavors _ VHF, UHF, digital 2.4 GHz or 1.92 GHz. Though most are “wireless partyline” and “line of sight,” more sophisticated wireless intercom systems, offer point-to-point and multi-cell roaming capabilities. These work very effectively for crew members seeking the flexibility of an untethered solution. In addition, wireless intercoms can be easily integrated with party-line or matrix systems. These hybrid solutions are especially handy when a small number of people need to do many different tasks for a worship service or other type of production requiring a high degree of coordination by many crew members. The main things to consider when choosing a wireless intercom system is how well it will work with your church’s existing hardwired intercom, how well it deals with RF interference and the frequency band on which it operates. Always insist on a test at the site before you buy and be sure to look at wireless intercoms that operate at higher frequencies. IP-based intercoms: Recently, manufacturers have developed ways to harness the inherent flexibility and extendibility of Internet Protocol (IP) technology for intercoms, also known as Internet-Over-IP (IOIP). IOIP can be used to bridge two or more intercom systems located in separate facilities of the same worship organization over an existing Internet, LAN or WAN network from a PC. This establishes a single communications environment for all staff members involved in production activities. It also offers a cost-effective way to extend the reach of the intercom systems as a congregation not only becomes regional but in some cases, global. Now that you’re more familiar with not just the many types of intercoms available to you, but also how they work, what they cost and how they can fit in with your house of worship’s infrastructure, hopefully you have a newfound confidence when making your decision.